Current Japanese Prime Minister Yoshihiko Noda approved the restart of one of Japan’s nuclear reactors last month, according to the Japan Times, in response, last week’s protests was probably the biggest yet, and possibly the largest protest in central Tokyo since the 1960s, as organizers estimated the turnout to be over 200,000 people. Shouting antinuclear slogans and beating drums, demonstrators gathered in front of the Japanese prime minister’s residence on Friday in the largest display yet of public anger at the government’s decision to restart a nuclear power plant. “Make an honorable withdrawal from nuclear power generation,” one protester shouted. Similar protest rallies were held across the country, including Osaka, which is served by Kansai Electric. Former Prime Minister Naoto Kan and other members of the ruling Democratic Party of Japan are drafting a road map for reducing the nation’s reliance on nuclear energy, on Wednesday they called for the immediate decommissioning of 12 of Japan’s reactors. 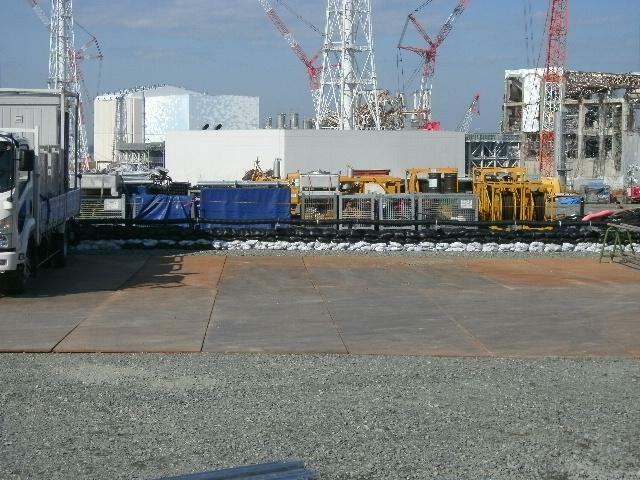 The 12 reactors specified include the three at Chubu Electric Power Co.’s Hamaoka power plant in Shizuoka Prefecture, Fukushima Daiichi and the nearby Fukushima Daiichi complexes, and the Onagawa plant run by Tohoku Electric Power Co. in Miyagi Prefecture. The group cited the massive effect that the Fukushima nuclear crisis is having on the national population and the financial impact taking its toll on the national economy, as well as noting the risk of major disasters in the future if reactors are restarted. They also criticized the governments’ recent flip-flop on relicensing, instead arguing that each and every one of the rest of the reactors should be decommissioned after forty years of operation, and urged the government not to build any new atomic plants. The church teaches that even without accidents, nuclear power is a real threat to people’s lives in that it “imposes sacrifices on socially weakened people throughout the process,” from the mining of uranium to the disposal of radioactive waste. The statement included 3 key arguments made on behalf of the call for nuclear abolishment. “A large quantity of radioactive waste, without any appropriate disposal technology, will continue to endanger people’s lives for a long period of time. Besides, no one can deny that the existence of nuclear power plants in a country like Japan, which is subject to frequent earthquakes, is very likely to be the cause of serious crises in the future. “First of all, we demand that the Japanese government be responsible for, and put an end to, the devastating consequences of this nuclear accident and we also share the responsibility. As Jesus taught us, “Whatever you want men to do to you, do also to them” (Matthew 7:12). It is not permissible for us to impose the danger and exposure to radiation on sparsely populated areas as well as to create new dangers in foreign countries to which Japan is planning to export nuclear power plants. May God bless this land and restore peace on earth!